Man I hate mosquitoes... Went biking today and got bit up like mad... I remember when I was a kid I used to have this friend who's dad would walk around outside without a shirt and his huge ol' belly hanging out... and I would remember seeing mosquitoes just hanging around his belly and he wouldn't even notice. 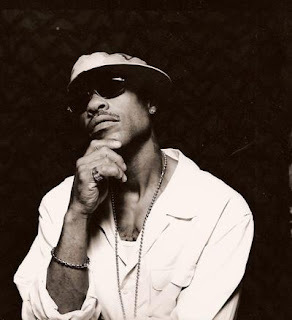 Born Keith Edward Elam on July 17, 1966 in Boston, Massachusetts, Guru (and occasionally Baldhead Slick), is an American rapper, and the lyrical half of Gang Starr, together with DJ Premier. With his Jazzmatazz album series, he is also considered to be one of the pioneers of hiphop/jazz crossover. The name Guru is an acronym that stands for "Gifted Unlimited Rhymes Universal" and the less often used "God is Universal, he is the Ruler Universal".